-There are 72 Doric-style columns in the grand hall and 72 Ionic-style columns on the second floor. -The building is composed of 15, 500, 000 bricks. Yes, over 15 million! -The Great Hall is about 15 stories at its highest point, and measures 316 feet by 116 feet by 152 feet. -The building was designed by engineer and architect Montgomery C. Meigs. -It took five years to build, from 1882 to 1887. -Ever since Grover Cleveland held is inaugural ball in the National Building Museum, the tradition has continued. All of those facts are courtesy of the National Building Museum website at www.nbm.org. There were some really cool exhibits, too. My personal favorite was the House and Home exhibit (I know, it’s shocking, right?). :) There was actual models of houses in different building materials, scale models of famous houses, including Fallingwater by Frank Lloyd Wright. 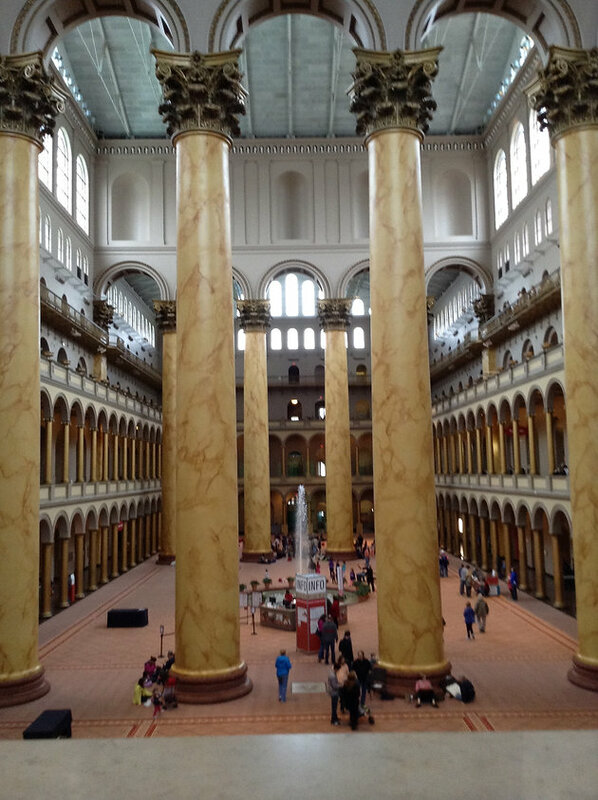 If you love interior design, architecture, or even engineering, you should definitely visit the National Building Museum!